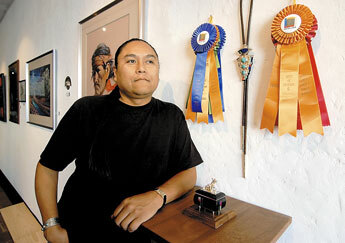 Lyndon Tsosie is a rising star among contemporary Navajo jewelers, a master inlayer of fine materials who exhibits innovative forms and design concepts. Recently he was the recipient of top awards at the world-famous Indian Market and Heard Museum exhibitions. 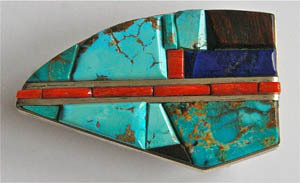 Lyndon challenges us to expand our concept of jewelry and art with his inlaid boxes, which might be shaped like a jewelbox or a Navajo hogan, revealing an interior river of opal or surrounded by "logs" of pink and red coral, turquoise, lapis lazuli and deep purple sugilite. 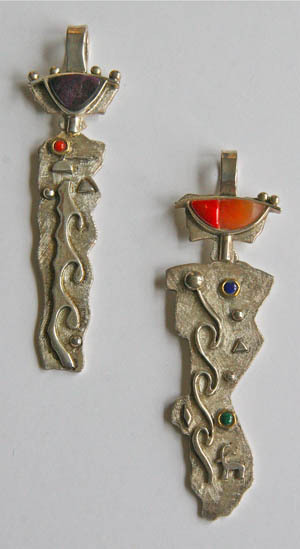 Lyndon’s necklaces and earrings look like modern minature paintings made with inlaid stones, and have been compared to the artwork of Klee and Mondrian. Materials: sterling silver, 14 k gold -- one side set with Candelaria, Pilot Mountain, and Lone Mountain turquoise, the reverse with spiny oyster shell. 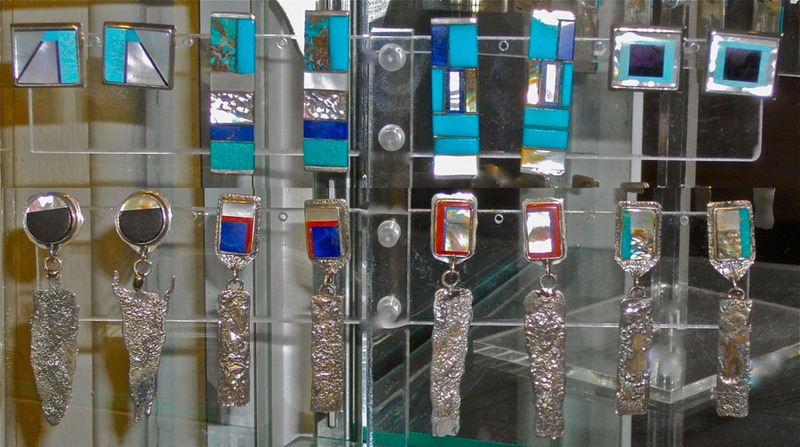 Materials: silver, turquoise, lapis, abalone shell, mother of pearl, red coral.